I enjoyed this dish. However, I wish it was a bit creamier. I’ll have to work on that. 1. 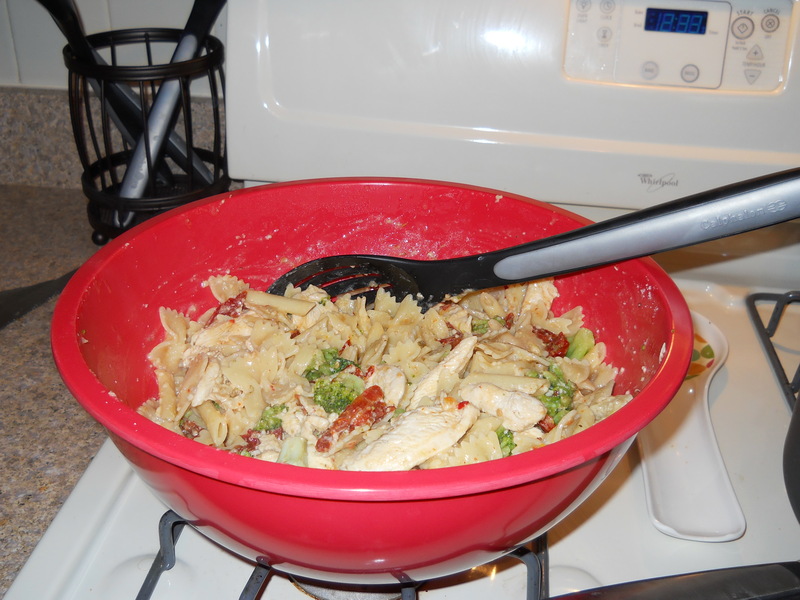 COOK pasta in large saucepan as directed on package, adding shrimp to the boiling water for the last 3 min. Meanwhile, heat broth in large skillet on medium heat. Add cream cheese, zest and juice; cook and stir 3 to 4 min. or until cream cheese is melted. 2. DRAIN pasta mixture. Add to cream cheese sauce in skillet with Parmesan; mix well. 3. 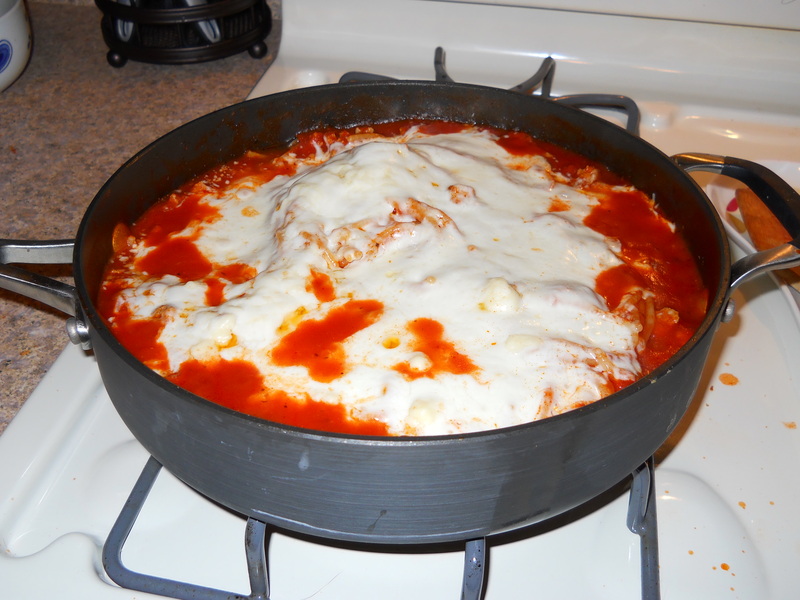 TOP with mozzarella; cover. Cook 3 to 4 min. or until mozzarella is melted. Sprinkle with parsley. 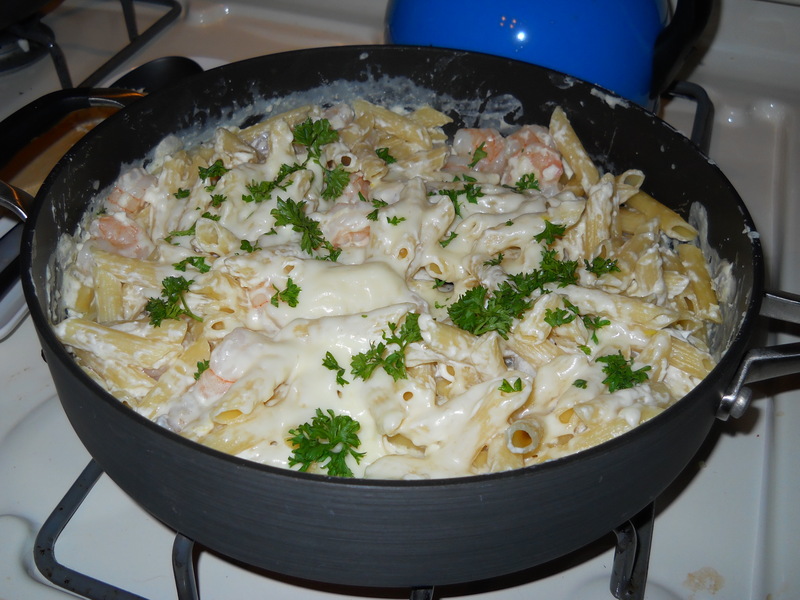 Posted in Main Dish and tagged chicken broth, cream cheese, grated parmesan cheese, lemon juice, lemon zest, parsley, penne pasta, shredded mozzarella cheese, shrimp. Bookmark the permalink. 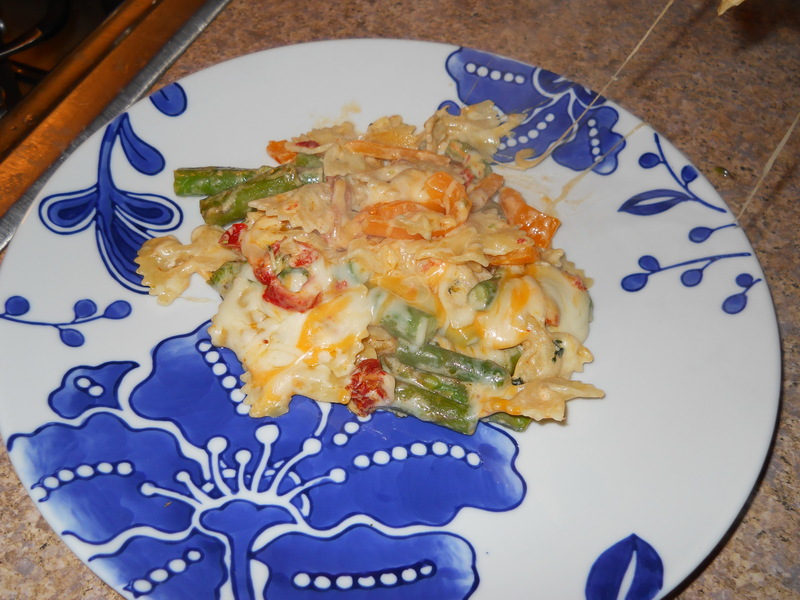 I really enjoyed this pasta dish. It wasn’t too heavy and the shrimp were a nice bite of flavor. I think this dish would also work with chicken. 1. COOK pasta as directed on package. Meanwhile, heat 2 Tbsp. dressing in large skillet on medium heat. Add shrimp; cook and stir 2 to 3 min. or until shrimp turn pink. Use slotted spoon to remove shrimp from skillet; cover to keep warm. Discard any drippings in skillet. 2. ADD remaining dressing, broth and seasonings to skillet; cook 2 min. or until heated through. Add Neufchatel; cook and stir 2 to 3 min. or until melted. Stir in tomatoes; cook 1 min. 3. DRAIN pasta. 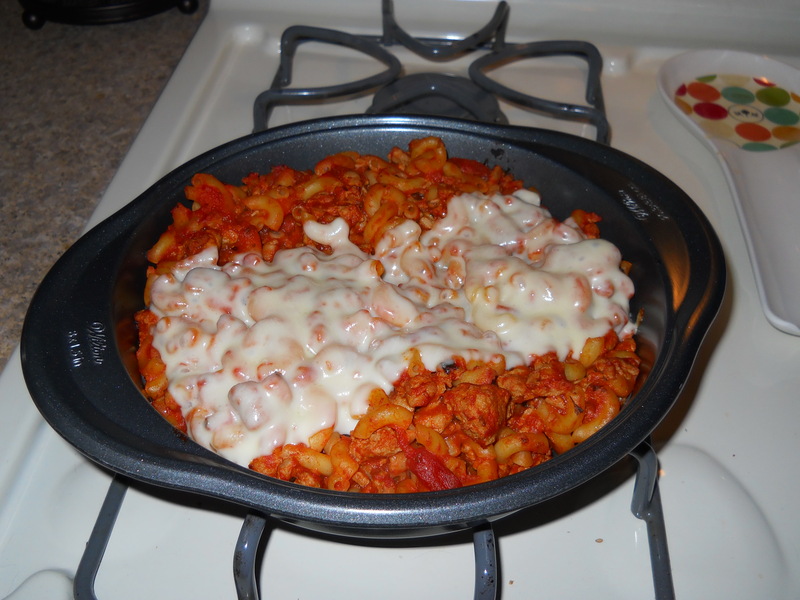 Add to ingredients in skillet. Stir in Parmesan and half the basil; top with shrimp and remaining basil. 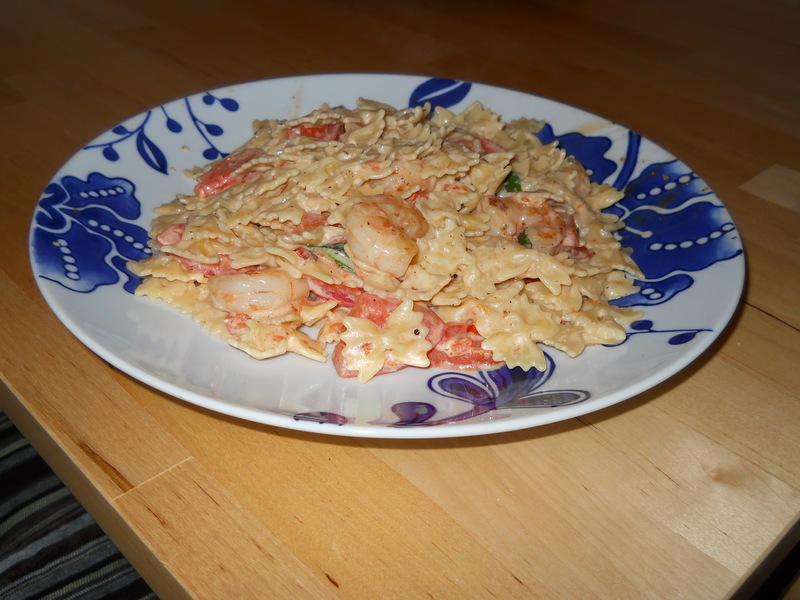 Posted in Main Dish and tagged basil, black pepper, chicken broth, garlic powder, Neufchatel cheese, pasta, shredded parmesan cheese, shrimp, sun dried tomato vinaigrette dressing, tomatoes. Bookmark the permalink. This was a simple dish to prepare. It was a nice, light stew for the fall season. I can’t wait to make it again and mix it up with some new ingredients! 1. COOK pasta as directed on package; drain. 2. MIX broth, tomatoes, steak sauce and crushed red pepper in large saucepan; bring to boil on medium-high heat. Boil 3 minutes. 3. ADD pasta and spinach; stir. Return to boil. Reduce heat to medium-low; simmer 2 minutes. Stir in meat; cook 2 to 3 minutes or until meat is cooked through. 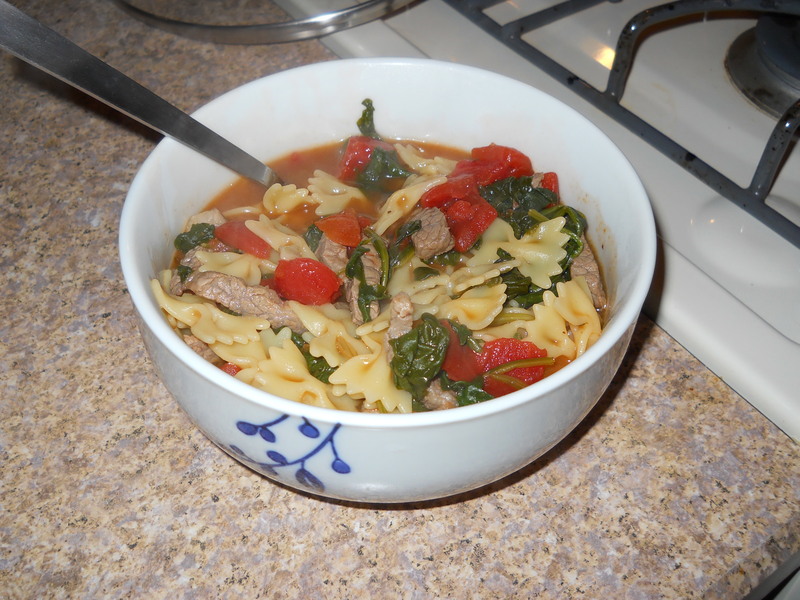 Posted in Main Dish and tagged beef broth, boneless beef round steak, crushed red pepper, diced tomatoes, pasta, spinach leaves, steak sauce. Bookmark the permalink.